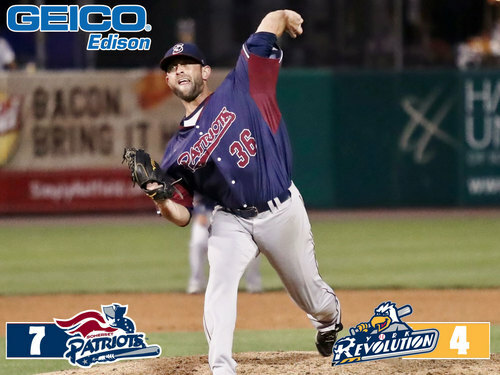 York, PA- The Somerset Patriots (37-24, 72-52) began the final weekend of the regular season with a doubleheader sweep of the York Revolution on Friday night at PeoplesBank Park. The Patriots tied their largest comeback of the year in game one, erasing a 5-1 deficit en route to winning 6-5 in extra innings. Then, Somerset jumped out to a big early lead and held on to win 7-4 in the nightcap. Click here for game one box score! Click here for game two box score!